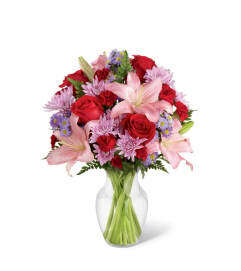 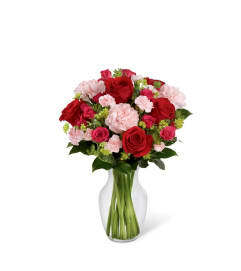 The FTD® Sweeter Than Ever™ Bouquet is full of blushing color and fresh beauty to create a remarkable gift. Pink gerbera daisies, pink carnations, lavender chrysanthemums, bi-colored pink and white Peruvian lilies and lush greens are perfectly situated in a clear glass vase accented with a lavender satin ribbon. 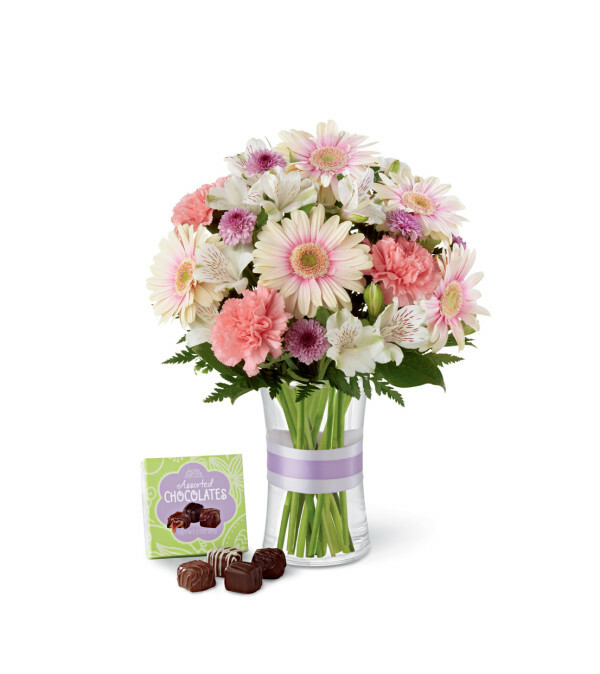 Arriving with a 4-piece box of chocolate, this bouquet gives your special recipient a sweet wish that will surprise and delight them with its captivating grace.